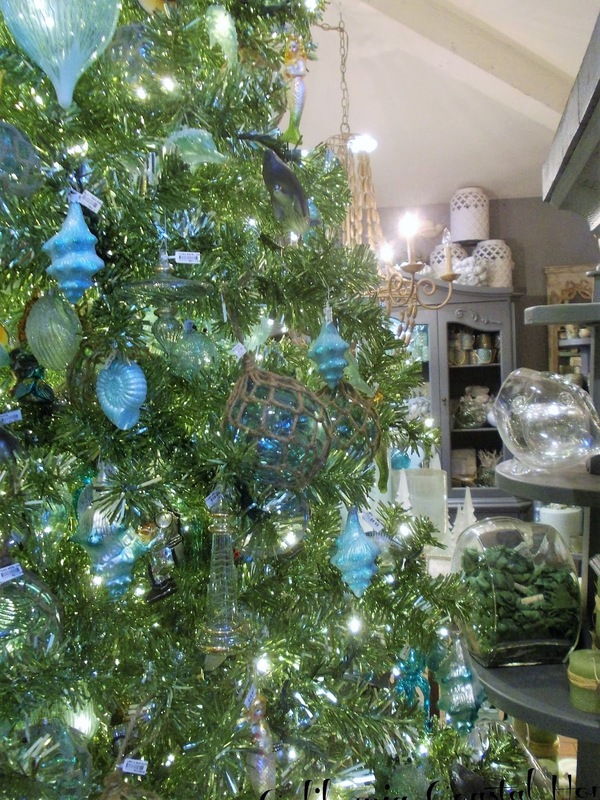 years coastal style Christmas tree from Roger’s Gardens. 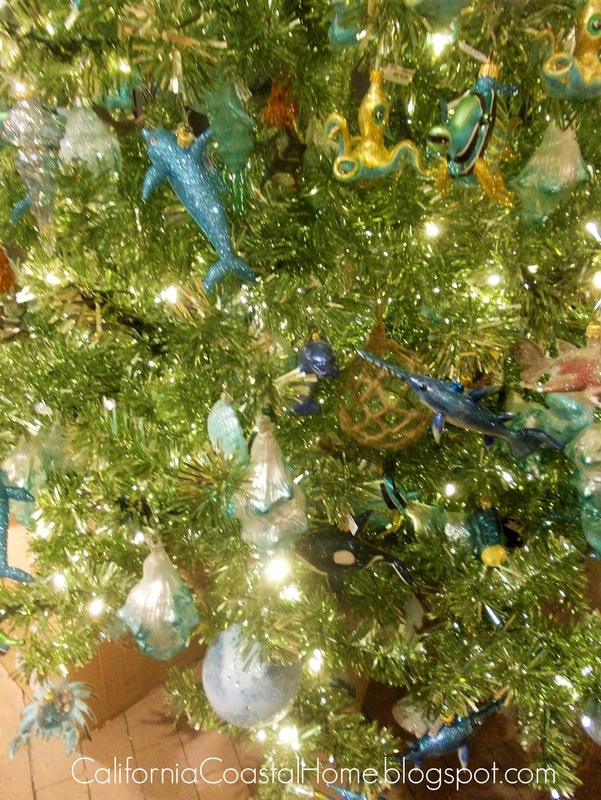 In this post I’m presenting the pics I took of last year’s coastal style tree. 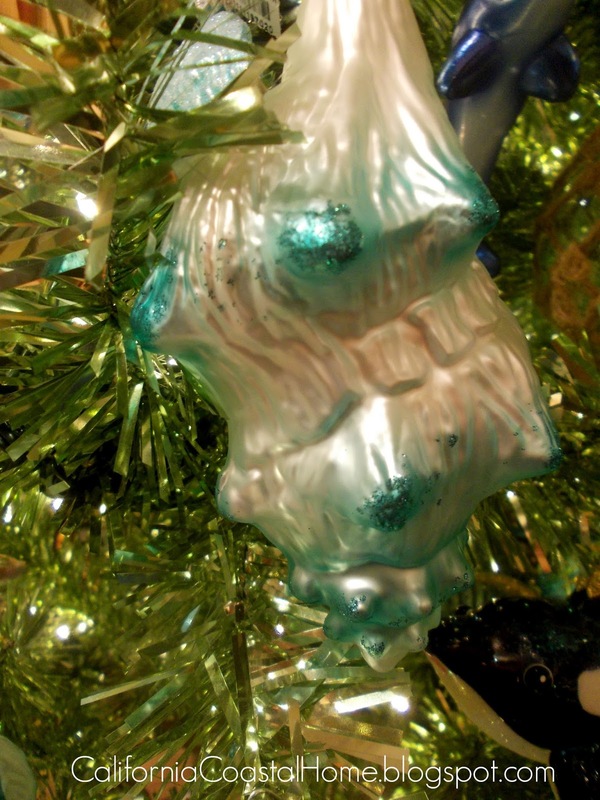 This is the tree that I really fell in love with. 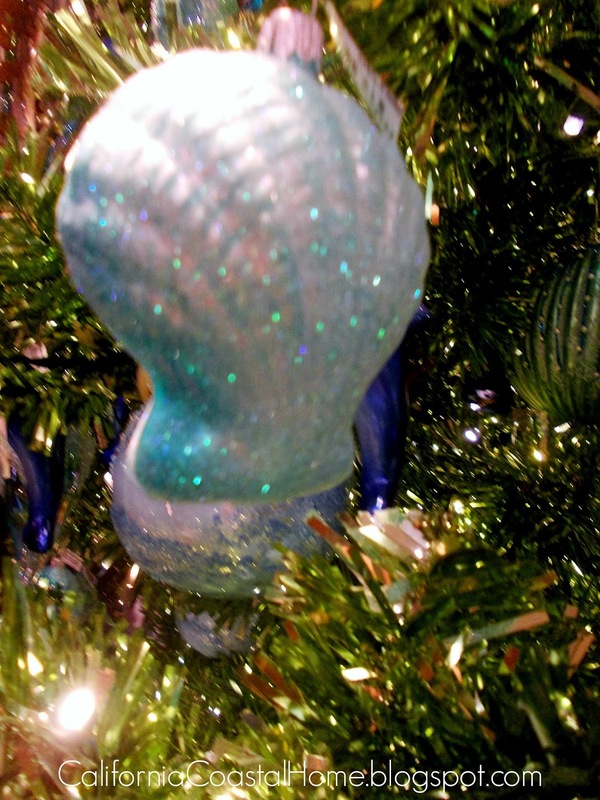 I always decorate for Christmas in a coastal theme to match our home decor. 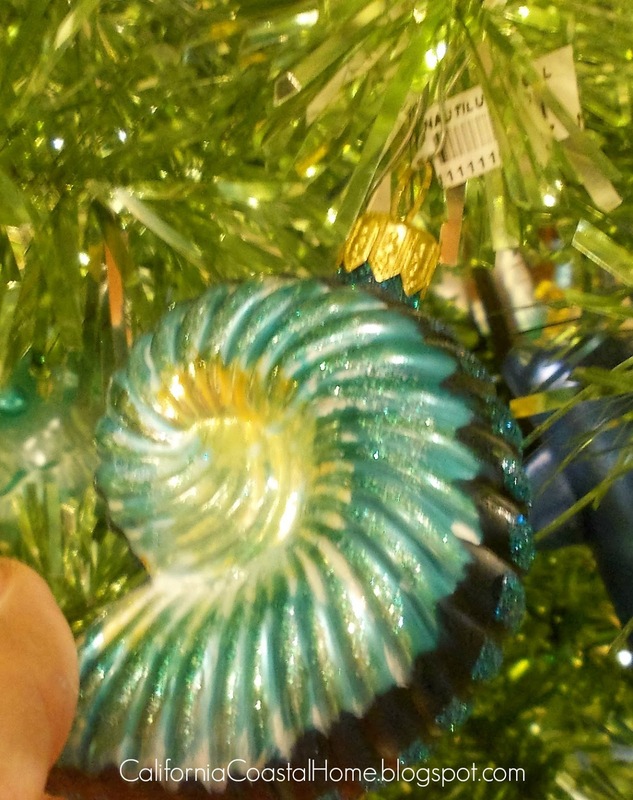 Although, my decor has evolved from “Vintage Cottage Coastal” to “Mid-Century Modern Coastal” now. 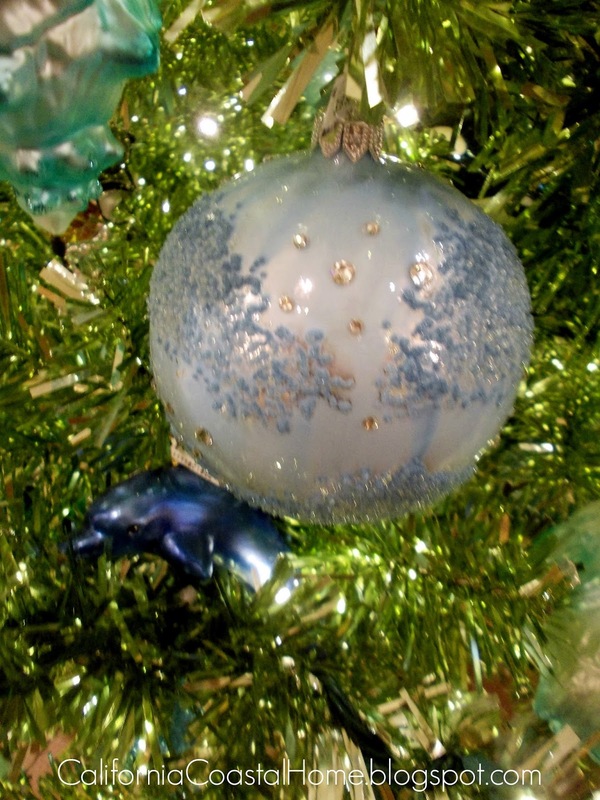 My Christmas tree ornaments in the past have been homemade vintage pieces in very neutral and white color schemes. 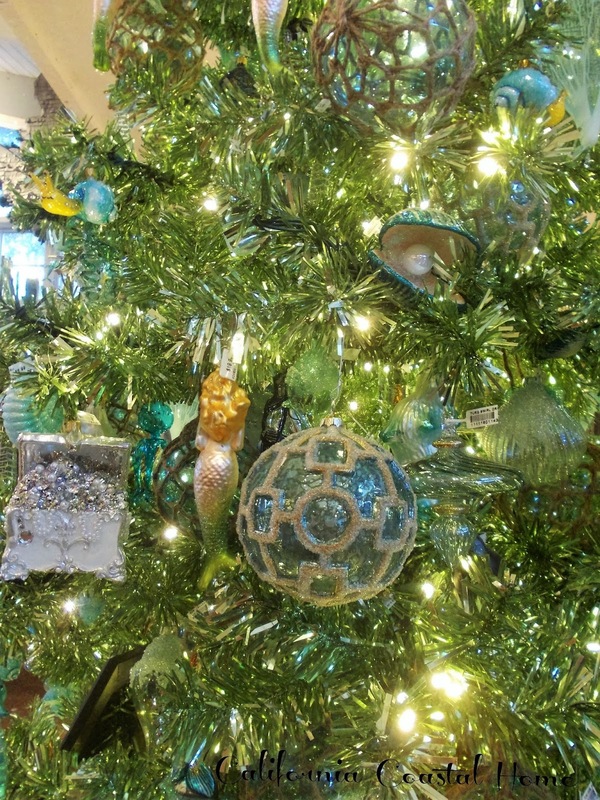 Since seeing this tree last year, I’ve dreamed of updating mine with a similar look. 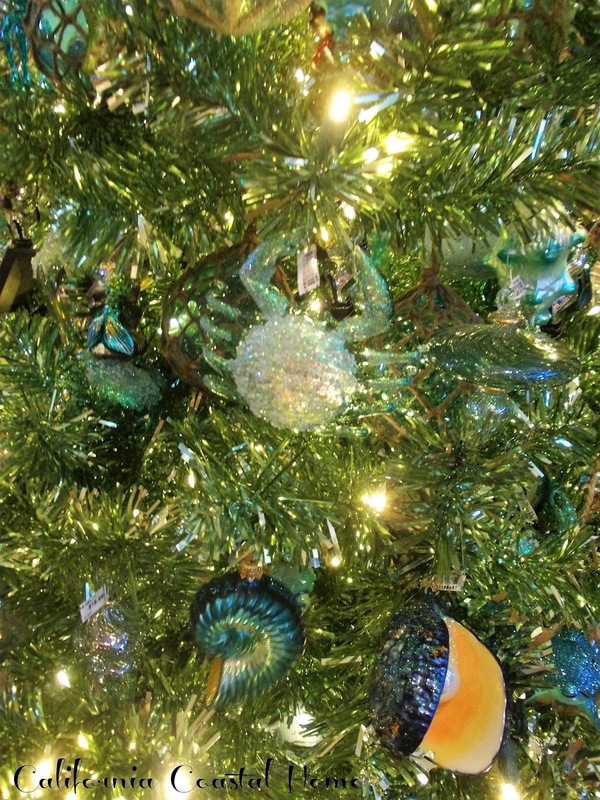 I love all the the different shades of blue and green and even a little of some gold and other hints of colors. 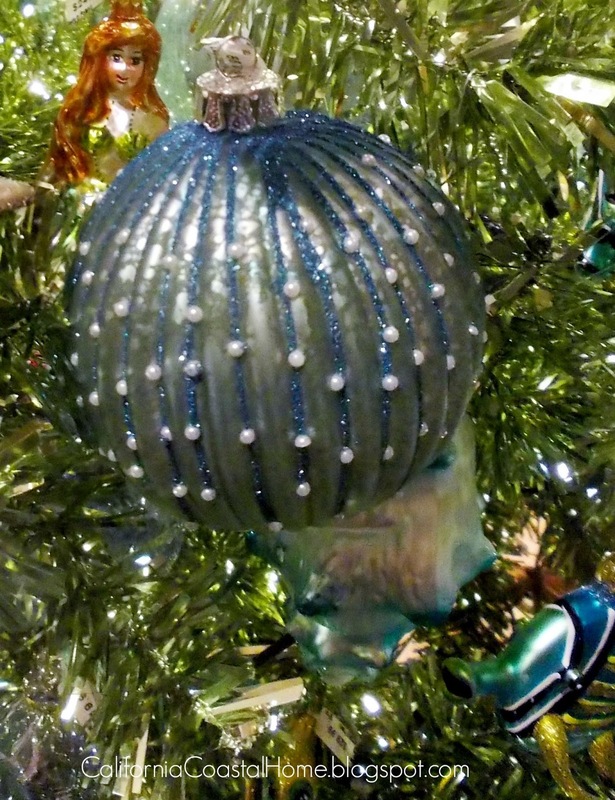 How do I accomplish adorning an entire tree like this without paying upwards of $40.00 dollars a piece for each ornament? 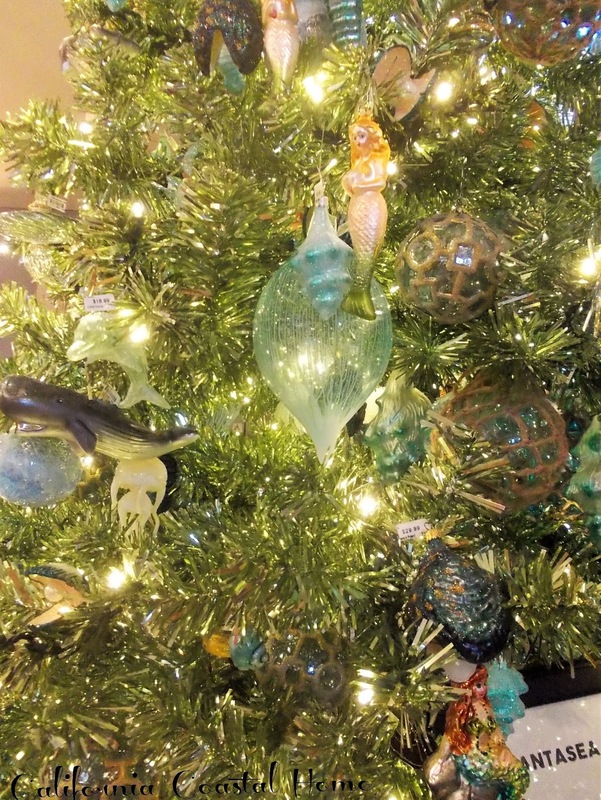 After seeing this tree in early December, I went shopping around and was able to find a few at Kohl’s for an amazingly low cost, and realized that next year I would need to start searching at least by the first of October. 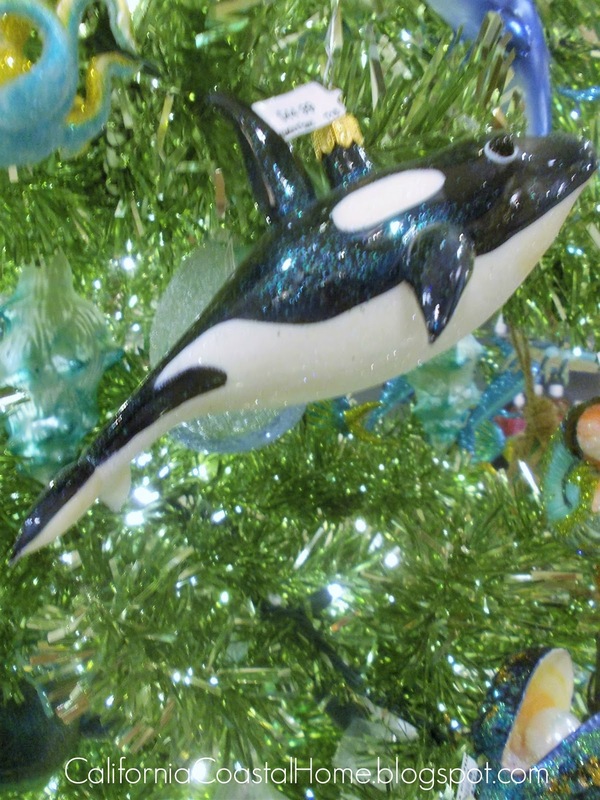 It seemed odd to start shopping this year so early, but it really paid off and I have quite the collection this year! 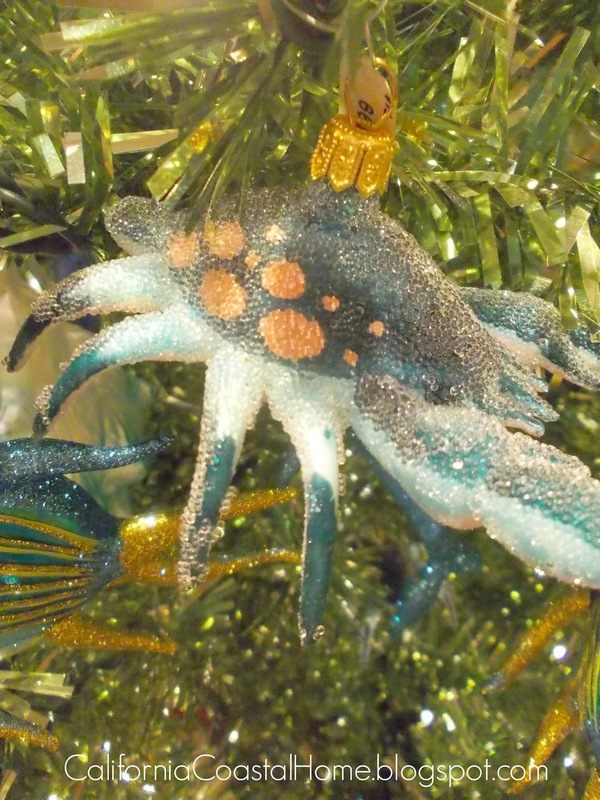 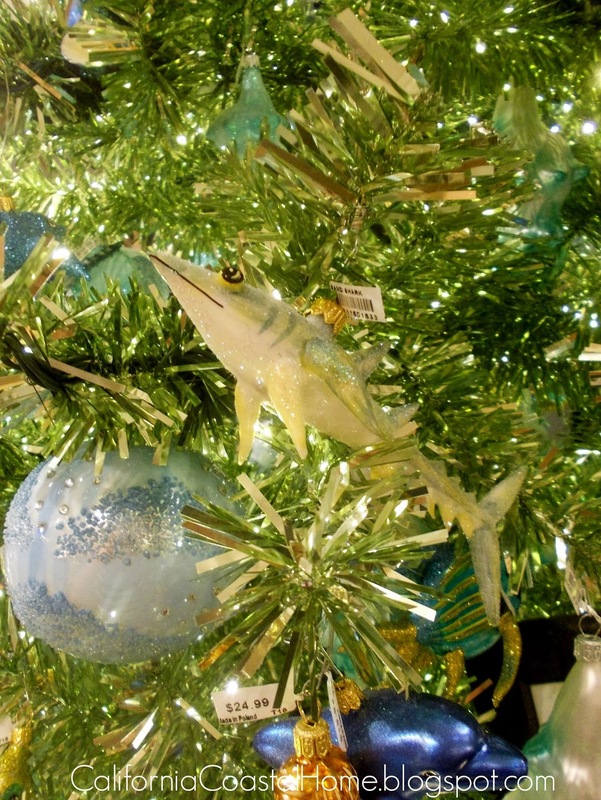 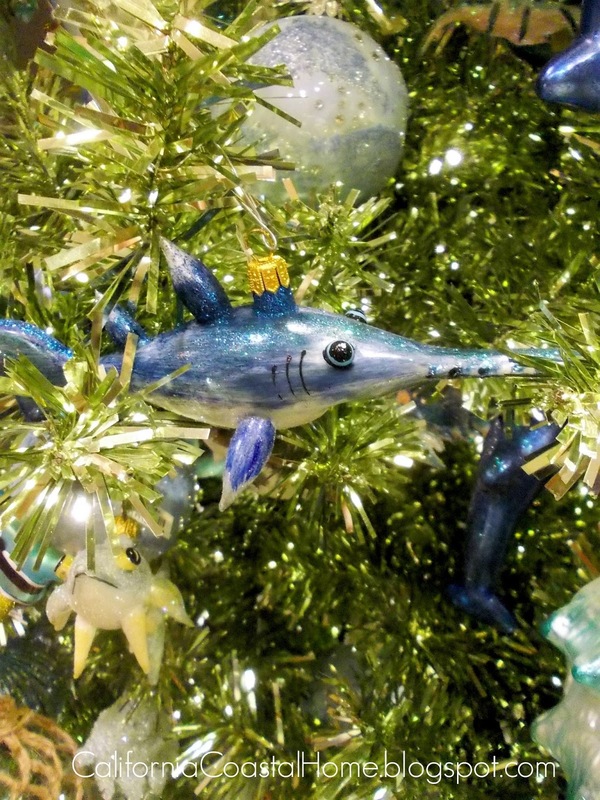 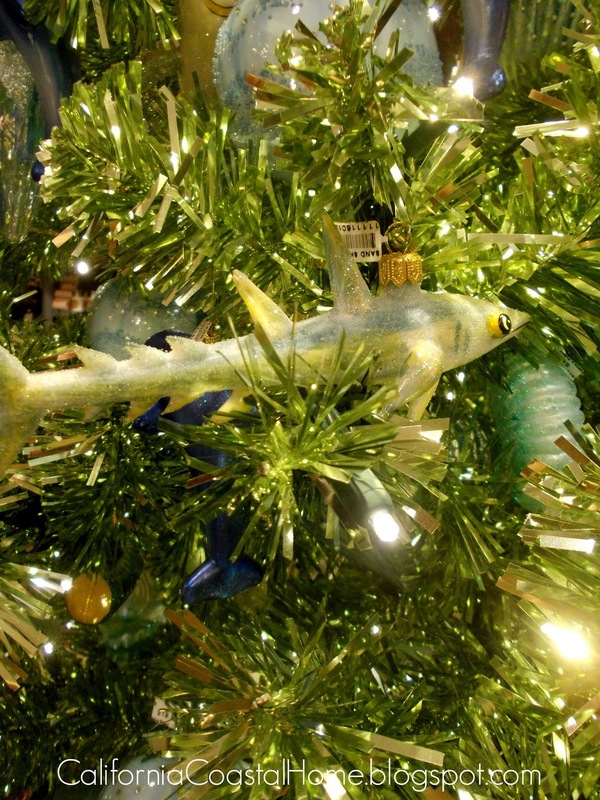 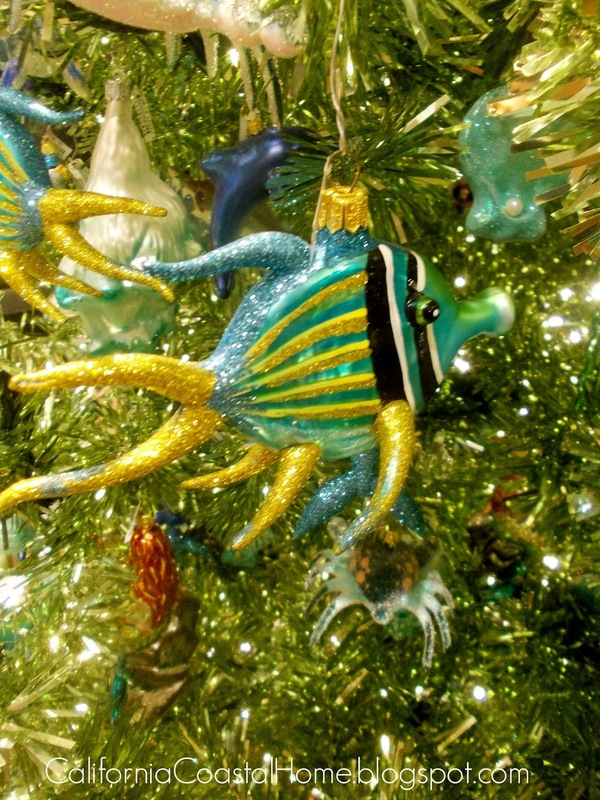 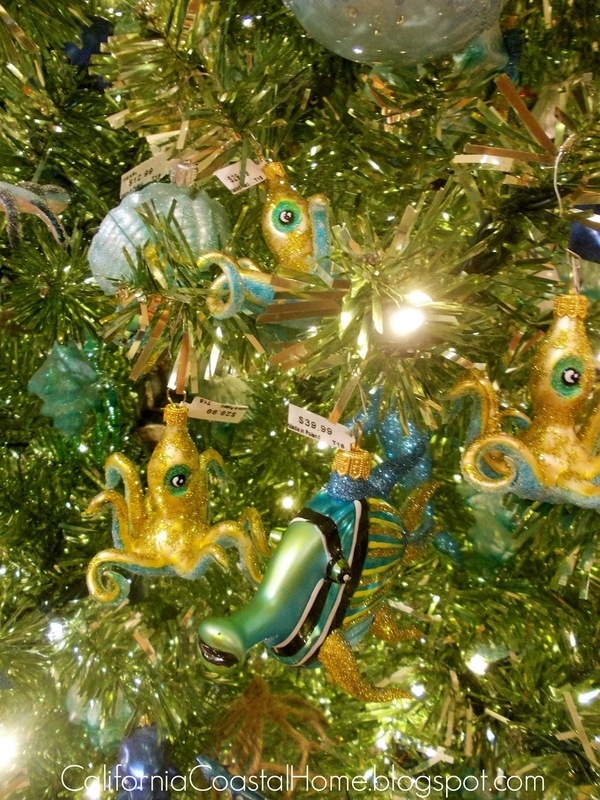 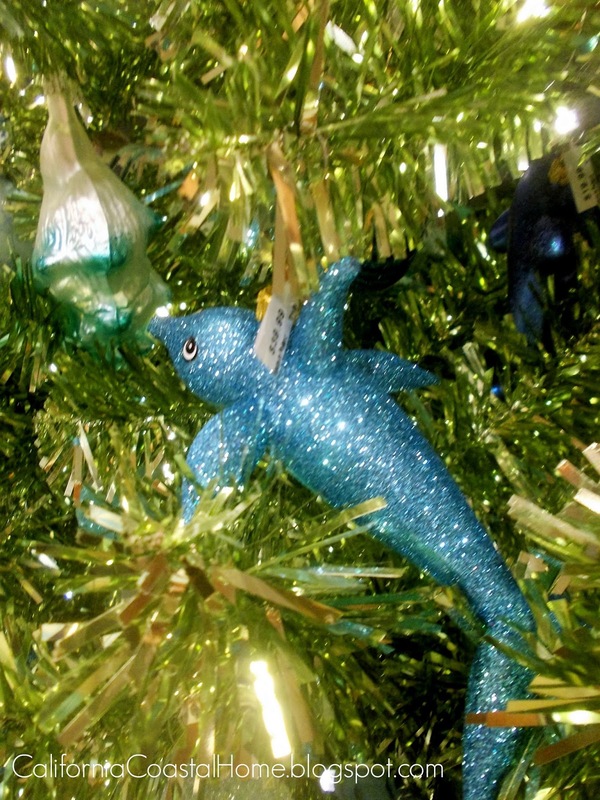 I love the green tinsel tree they used, it makes it look more like an underwater scene. 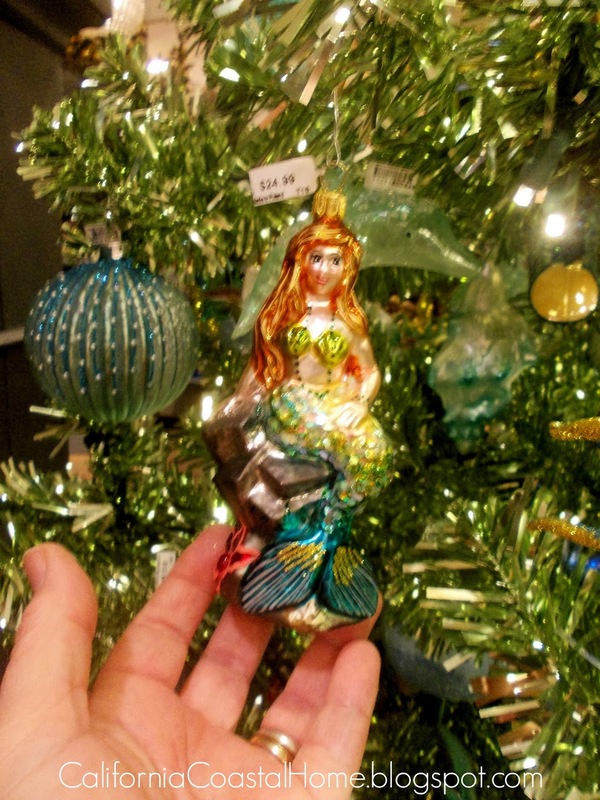 In the next post, I’ll share my ornament shopping haul from Kohl’s!